Family Protections in Probate | The Ashmore Law Firm, P.C. 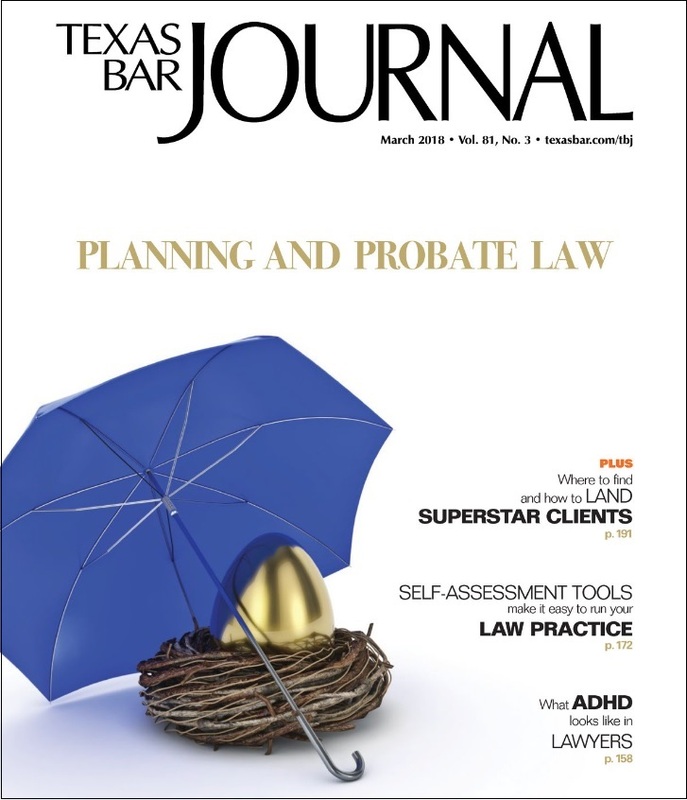 The cover of the most recent edition of the Texas Bar Journal really caught our eye. This month’s edition contains a detailed article on the Texas Estates Code exemptions and allowances for family members of a Decedent. It is always good practice to refresh your recollection of the exemptions and allowances before meeting with a potential Client to see if it might provide them a benefit.